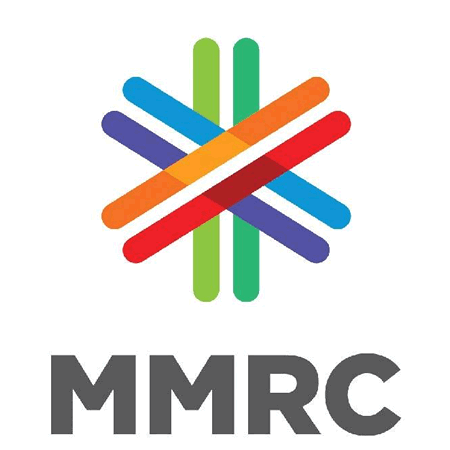 MMRC Recruitment 2019 - Below are various recruitment notifications published by Mumbai Metro Rail Corporation Limited (MMRC). As of now, we don't have any active recruitment notification by MMRC featured here. We may update as soon as the organization announces a new job notification. If you are looking for any information related to previously organized recruitment drives by MMRC, you can browse through previous job notifications mentioned below and get the new updates or information you are looking for. MMRC Recruitment 2019 - Apply Online for 12 GM, DGM, Surveyor & Other Posts in MMRC, Mumbai, Maharashtra on Deputation / Contract Basis. Online Applications are invited by Mumbai Metro Rail Corporation Limited (MMRC) from 28 Jan 2019 10:00 AM to 18 Mar 2019 11:59 PM for 12 vacancies. MMRC Recruitment 2018 - Apply Online for 16 Executive Assistant, Accounts Officer, JE & Other Posts in MMRC, Mumbai, Maharashtra on Contract Basis. Online Applications are invited by Mumbai Metro Rail Corporation Limited (MMRC) from 11 Jul 2018 10:00 AM to 10 Aug 2018 til 11:59 PM for 16 vacancies. MMRC Recruitment 2018 - Apply Online for General Manager (Electrical) Post in MMRC, Maharashtra. Online Applications are invited by Mumbai Metro Rail Corporation Limited (MMRC) from 04 Apr 2018 10:00 AM to 21 May 2018 11:59 PM for 1 vacancy. MMRC Recruitment 2018 - Apply Online for General Manager (Finance) Posts in MMRC, Mumbai, Maharashtra on Regular Basis. Online Applications are invited by Mumbai Metro Rail Corporation Limited (MMRC) from 23 Feb 2018 10:00 AM to 22 Mar 2018 11:59 PM for 2 vacancies. MMRC Recruitment 2018 - Apply Online for Senior Deputy General Manager Vacancy (Rolling Stock) in Maharashtra on Regular/ Deputation basis. Online Applications are invited by Mumbai Metro Rail Corporation Limited (MMRC) from 10 Jan 2018 10:00 AM to 30 Jan 2018 till 11:59 PM and for 1 vacancy. MMRC 12 Assistant, Dy. Town Planner & Other Recruitment 2017 - Job notification for 12 Assistant, Assistant General Manager (IT), Senior Deputy General Manager (IT), Dy. Town Planner & Other Posts in Mumbai on Contract Basis. Online Applications are invited by Mumbai Metro Rail Corporation Limited (MMRC) 16th December, 2017 to 06th January, 2018 and Send Application form for on Deputation Basis before 06 Jan 2018 for 12 vacancies. MMRC Winter Internship -2017-18 - 50 Vacancies - Job notification for 50 Intern Vacancies in Finance, Human Resource, Projects (Civil Eng), Urban Transport Planning / Public relations / Land & R&R / Environment and Systems(Electrical / Information Technology) Departments in Maharashtra on Training. Applications through Post/ E-mail are invited by Mumbai Metro Rail Corporation Limited (MMRC) on or before 11 Dec 2017 for 50 vacancies. MMRC Manager Recruitment 2017 - Job notification for Senior Deputy General Manager & Assistant Manager Posts in Mumbai on Contract Basis. Applications are invited by Mumbai Metro Rail Corporation Limited (MMRC) on or before 03 Nov 2017 for 2 vacancies. MMRC Recruitment 2017 - Latest job notification for Senior Assistant Vacancy in Mumbai. Applications are invited by Mumbai Metro Rail Corporation Limited (MMRC) on or before 27 Aug 2017 for 2 vacancies. MMRC Recruitment 2017 - Latest job notification for General Manager (Accounts) Vacancy in Mumbai on Regular Basis. Applications are invited by Mumbai Metro Rail Corporation Limited (MMRC) on or before 08 Sep 2017 for 1 vacancy.